​TO HELP YOU GROW YOUR BUSINESS! I'm Francine and I want to help you and your business excel by providing you with top notch professional administration, social media and other tech services that will help free up your time so you can focus on growing your business. My comprehensive online business management knowledge and creative design skills can help you get ahead of the competition and stay in the game. I now partner with executives, business owners and entrepreneurs to help increase revenue while also continue to do what they are most passionate about. However, there are several tasks and operations that need to be handled in order to do so. There's only so much you can do on your own. That's why I want to help you. My goal is to collaborate with you, to help grow your business relationships, optimize your social media presence and to enhance your bottom line. My passion is not only to support businesses but also the people who run them. About Us: Here at Presto Virtual Assistance, we care about your business - Founded in early 2014 by Francine Alonzi, Presto Virtual Assistance started out as a simple one woman operation providing administrative support to small business owners and has steadily expanded to include a variety of other important back office services equally important to grow your business. So whether you are just starting out or are already a well established business, Presto Virtual Assistance can provide you with everything you need to see your business thrive. From general administration to social media management right through to website design, SEO and more. If you're a business owner, an online entrepreneur or creative carrying a heavy load of tasks that are keeping you from focusing on the big picture, Presto Virtual Assistance can help. So whether you're just shopping around or are ready to get started, I can help you get back to doing what you love! I'm so excited to start learning about your business and to start working with you! 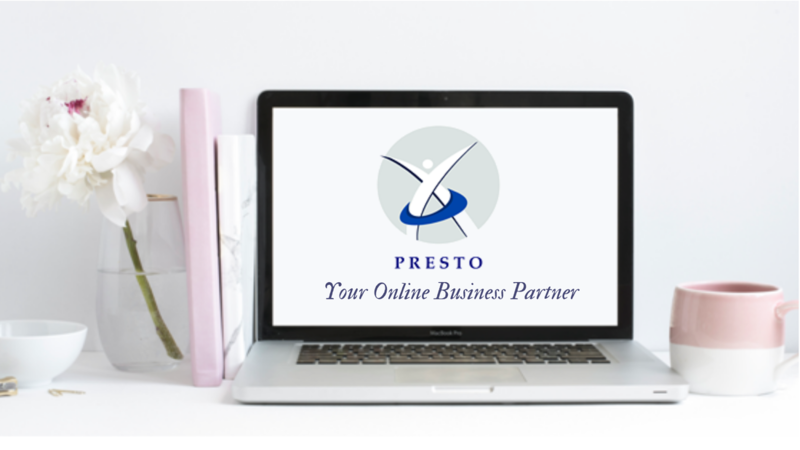 Presto Virtual Assistance is dedicated to partnering with you, the business owners as well as individual entrepreneurs to help you focus on strategic activities that require your full attention. We deliver top notch virtual assistance by providing our customers with skilled virtual assistants. Presto Virtual Assistance will succeed by providing invaluable support to our clients in order to enable them to reach a higher level of success! These values are the foundation of our culture.